this book is really really something. wow. just wow. one of the best contemporaries that really moved me. it is full of emotions but still written beautifully. reading its first few pages had already got me falling in love with it. this is a story of loss, grief, finding yourself, moving forward, and finally letting go. Quinn had lost first love, Trent, because of an accident. She mourned for 400 and counting days not until she found the light through Trent's heart recipient, Colton. 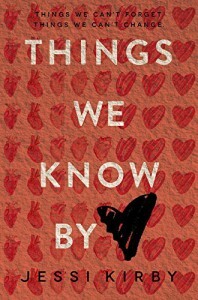 Things We Know By Heart is both a heart wrenching and heart warming. It's both happy and sad. 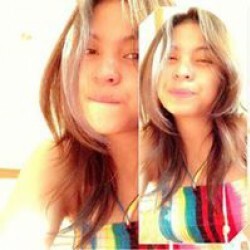 It's both tearjerker and sunshine. And most of all, this book is really a life-changer. Not only there's a lot of emotions but there's also a lot of life lessons. I can't really find all the words to praise this book. All I know is that I loved it so so much and I can't wait for everybody to feel the same way as I did bout this book. Definitely, one of those books that I will read over and over again but will never get tired of reading it. Oh did I also mention that this book is my kind of book-to-movie adaptation. I will not get surprised if this will be optioned and get to be filmed. Because this is really wonderful. All my praises for Jessi Kirby.